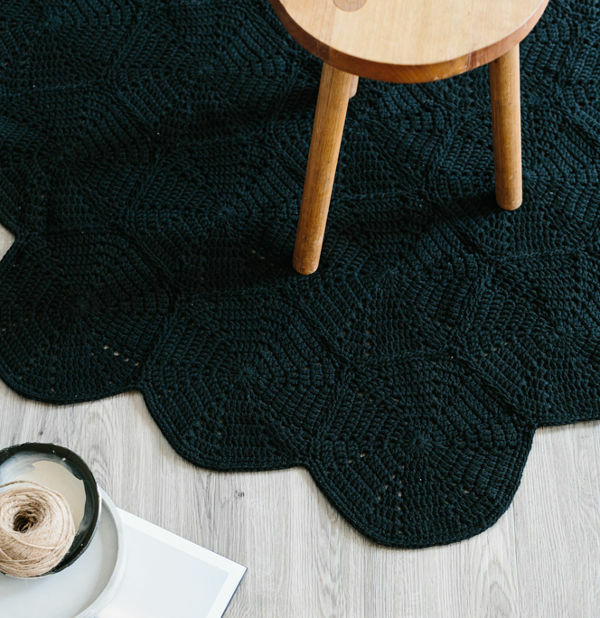 It’s futile trying to resist the classic charm of these hand crocheted rugs – we’re already under their spell. The only bad thing about them is trying to choose which one will suit your baby’s nursery or child’s room. What a delightful conundrum! 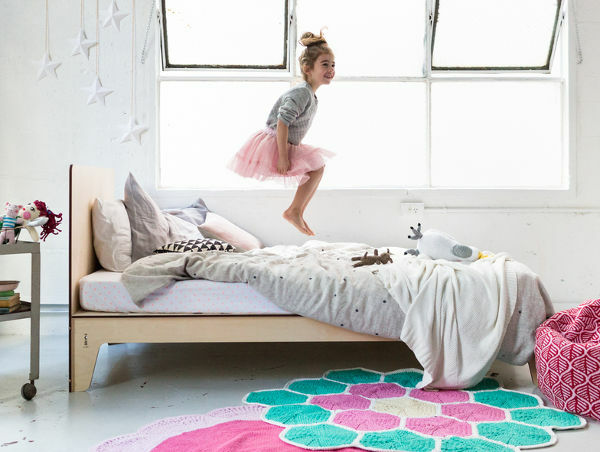 These versatile rugs hail from the haven of all things crocheted – La De Dah Kids. 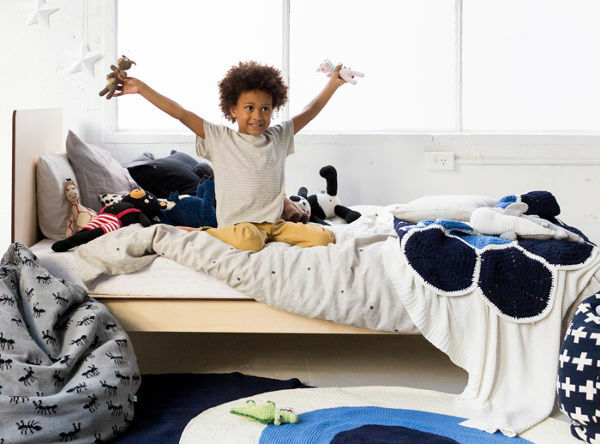 They work beautifully as simple and playful rugs. They’re also perfect as a playmat for babies, and they can also look stunning thrown over the end of a bed. Made from cotton, and ranging up to 120cm wide, one of the most incredible features of these rugs is that they can be hand washed, dried flat and they’re good as new. 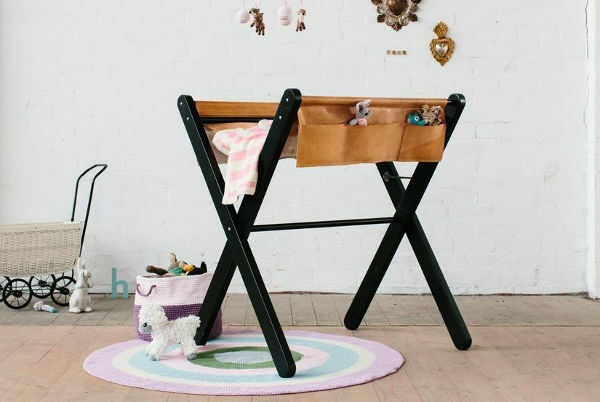 That’s just perfect for something used in a child’s space. We love all of the colour combinations available, hues of blue, blushes of pink, delicious mint, and there are even some smaller sizes available in black. The multi pink and peach rug is $200, as is the multi blue. The black scallop (pictured below) is $170. 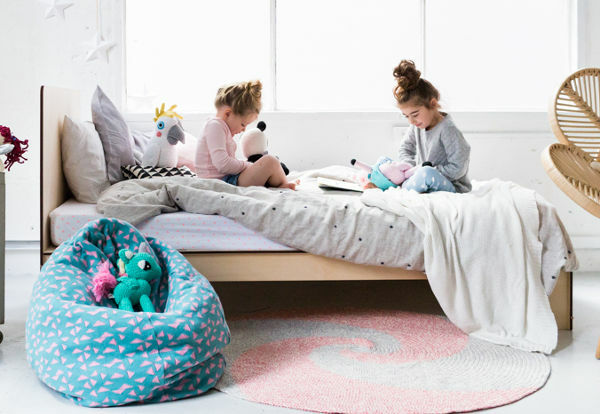 Shop the collection at La De Dah Kids.